Summer Program China 2019 registration is now OPEN! 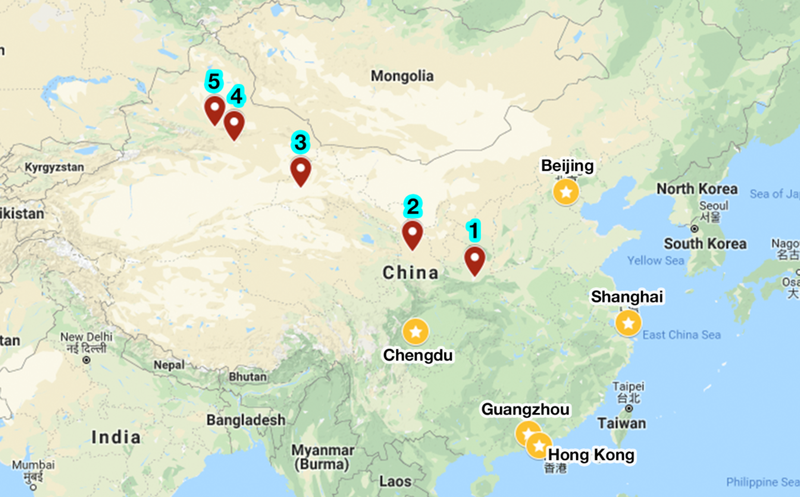 Each of our China Summer Program takes our students and participating families to a few selected cities in China (cities are selected based on the theme for that year). Along the way, we serve as your guide as we experience China like a local, whether it be watching a magic show at a night market, eat the thickest noodles in China, climb one of the most beautiful mountains of China, chat with Chinese families, witness rare local communities, or to hear from self-made Chinese entrepreneurs who will share their stories with you. And most importantly, we will guide our students as they experience the most authentic situation to practice their Chinese language. This year, CCBG will be bringing a group of families on a journey through 5 cities. These cities were major stops along the Silk Road in ancient times. This route was also the path taken by the famous Tang Monk, Xuanzang, when he journeyed to India to bring back to China the true teachings of Buddhism. Our journey will start from Xi'an, ancient China's starting "hub city" where merchants loaded their horses and camels with goods from China. From Xi'an, we will head westward all the way into Xinjiang. China is very hot in the summer, traveling in the heat distracts you from focusing on your surroundings. To avoid the heat, we have been going either at the beginning (mid-June to early July) or the end (mid to late August) ) of summer. This year will be the first in a few years since we last went in late summer, this is to make it more possible for students with a NYC Board of Education schedule to attend. Families pay their own travel costs (flights, transportation, lodging, etc.). CCBG charges a flat service fee. We take care of all the planning, from choosing hotels to delivering an educational theme. You just bring yourselves. Partially by taking advantage of our group-bargaining power, and partially by utilizing our local resources throughout China, our program actually saves you more money than we charge you. Please send us an inquiry form, email or call us. Our 2016 China Summer Program brought a group of families on a journey to cities along the ancient Silk Road, some of which are oasis cities in the middle of the desert in western China. This route was also the path taken by the famous Tang Monk, Xuanzang, when he traveled to India to bring back to China the true teachings of Buddhism. To read about our adventures, please go here. Our 2016 China Summer Program brought a group of families (majority from the US and some from China) on a journey through 4 to 6 Chinese cities. All of these cities have once served as the capital of China in ancient times, but are now vibrant modern cities. We visited all of these cities in the time order in which they served as the capital of China in the past. To hear more about our adventures, please go here.